Result: Promotes healing by activating the cells responsible for body repair. 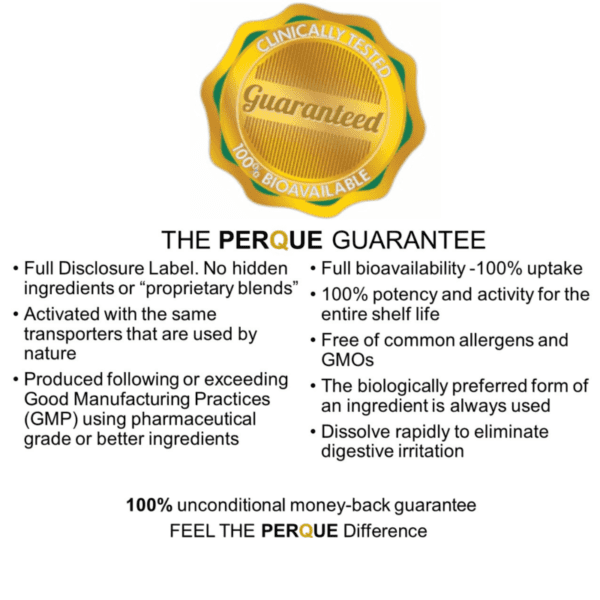 Benefits: Reduces oxidative stress and improves comfort, naturally. Fact: Activates repair compared to painkillers that suppress repair. Quercetin dihydrate (water-soluble bioflavonoid) 1,000 mg.
Magnesium (as C16 and C18 alkyls†) 35 mg. Vegetable fiber (organic croscarmellose) 10 mg.
†from whole, untreated palm fruit and leaf 4 mcg. 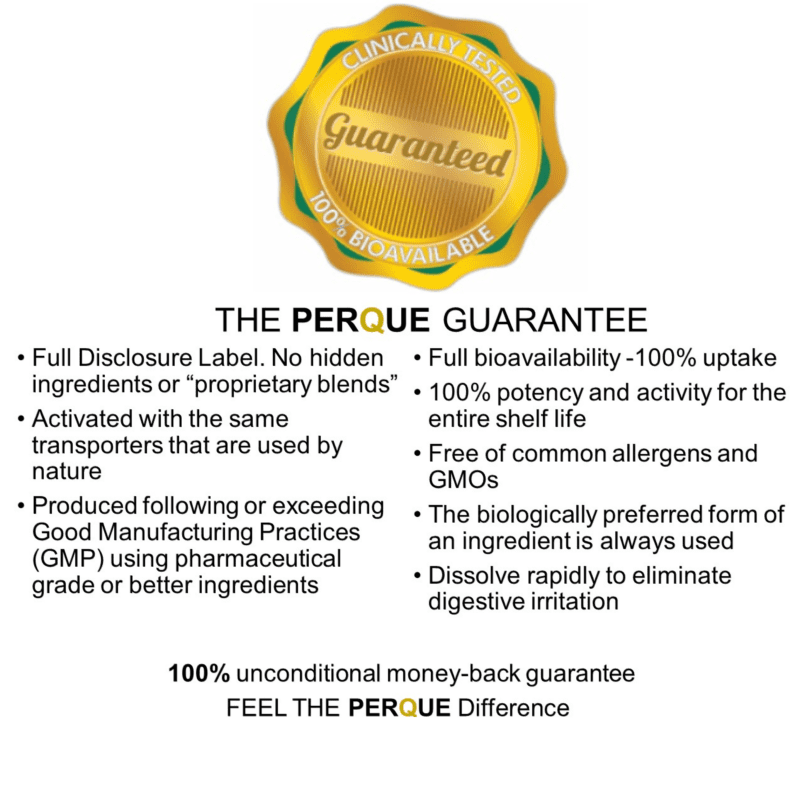 We are currently offering free samples of PERQUE Repair Guard to healthcare practitioners.